Do Drone Strikes on al-Qaida Make Us Safer? Moral or immoral, do drone strikes work? Sean M. Lynn-Jones weighs the evidence. 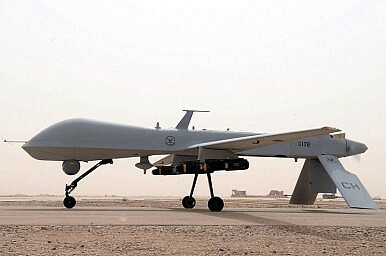 On June 4, a missile fired from a pilotless U.S. drone reportedly killed Abu Yahya al-Libi, said to be al-Qaida’s second-in-command, in a remote region of Pakistan. Just over a year earlier, U.S. special forces stormed Osama bin Laden’s compound in Abbotabad, Pakistan, and shot him dead. In September 2011, a U.S. drone attack in Yemen killed Anwar al-Awlaki, an American radical Islamic cleric who had become an al-Qaida regional commander. Numerous other al-Qaida leaders have been killed in U.S. attacks in recent years. The Obama administration has made such decapitation attacks a central element in the U.S. struggle against al-Qaida and similar militant organizations. Does killing the leaders of terrorist groups make the United States more secure? Is leadership decapitation an effective counterterrorism strategy? Critics of U.S. attempts to kill top terrorist leaders argue that such targeted killings do not reduce the terrorist threat to the United States. New leaders may quickly take the place of those who are killed by the United States. Other critics claim the policy is counterproductive, because drone strikes and other raids fan the flame of anti-Americanism in Pakistan and may even help al-Qaida and other militant groups to gain new supporters. Still others contend that targeted killings are illegal or immoral and that the United States should not abandon its laws and principles to strike at terrorist leaders. Two studies published in the spring 2012 issue of the Harvard Kennedy School Belfer Center’s journal International Security present a different perspective. On the basis of comprehensive analyses of data on multiple terrorist and insurgent organizations, these studies conclude that killing or capturing terrorist leaders can reduce the effectiveness of terrorist groups or even cause terrorist organizations to disintegrate. In “Targeting Top Terrorists: How Leadership Decapitation Contributes to Counterterrorism,” Bryan Price, who will soon join the Combating Terrorism Center at the U.S. Military Academy, analyzed the effects of leadership attacks on 207 terrorist groups from sixty-five countries between 1970 and 2008. Price argues that the health of a terrorist organization is tied closely to the strength of its leadership. Removal of a charismatic leader can undermine a terrorist organization. In addition, leadership succession poses particular challenges in secretive organizations that do not institutionalize their operations or train lower-level leaders to assume control. Price finds that killing or capturing the leaders of a group significantly increases the probability that the group will collapse or dissolve, although the organization may endure for several years. This effect was much stronger for new groups; groups that have existed for twenty years are much more likely to survive the killing of their leaders. One of Price’s most important findings is that religious terrorist groups were almost five times more likely to end than nationalist groups after having their leaders killed. Patrick Johnston, a former fellow in the Belfer Center’s International Security Program who is now at the RAND Corporation, considers whether leadership decapitation reduces the effectiveness of terrorist and insurgent groups. In “Does Decapitation Work? Assessing the Effectiveness of Leadership Targeting in Counterinsurgency Campaigns,” Johnston compares the consequences of 118 failed and successful attempts to kill top-level insurgent leaders. His study finds that removing the leaders of militant groups enables governments to defeat insurgencies more frequently, reduces the number of insurgent attacks, and diminishes levels of violence. Johnston points out that killing insurgent leaders does not guarantee success, but it increases the probability that governments will defeat insurgents by 25 to 30 percent. He also finds that killing leaders has a stronger effect than capturing them. It remains to be seen whether U.S. killings of al-Qaida leaders will bring about the demise of that terrorist organization. So far, however, those killings seem to have disrupted al-Qaida and reduced the frequency of its actual and attempted terrorist attacks on the United States and U.S. citizens, although al-Qaida remains a significant threat. The studies by Price and Johnston suggest that the United States should continue its policies of targeting top terrorist leaders. If their conclusions are correct, the Obama administration may be on target in its calculation that the benefits of decapitation strikes outweigh the costs. Sean M. Lynn-Jones is Editor of International Security, the International Security Program's quarterly journal. He is also series editor of the Belfer Center Studies in International Security, the Program's book series that is published by MIT Press. The following piece was originally published at Harvard’s Kennedy School of Government “Power and Policy” blog. The Obama administration doesn't have the strongest legal footing to go to war against ISIS in Iraq.